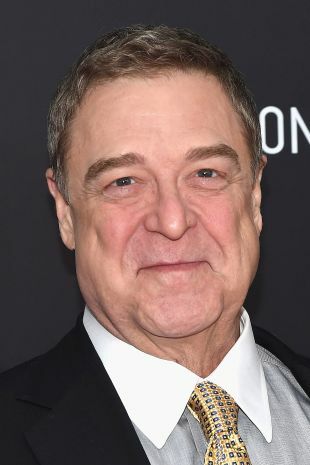 With a talent as large as his girth, John Goodman proved himself both a distinguished character actor and engaging leading man. A native of St. Louis, MO, Goodman went to Southwest Missouri State University on a football scholarship, but an injury compelled him to seek out a less strenuous major. He chose the university Drama Department, attending classes with such stars-to-be as Tess Harper and Kathleen Turner. Moving to New York in 1975, he supported himself by performing in children's and dinner theater, appearing in television commercials, and working as a bouncer. Goodman made his off-Broadway debut in a 1978 staging of A Midsummer Night's Dream, and, a year later, graduated to Broadway in Loose Ends. His best Broadway showing was as the drunken, brutish Pap in Big River, Roger Miller's 1985 musical adaptation of Huckleberry Finn. 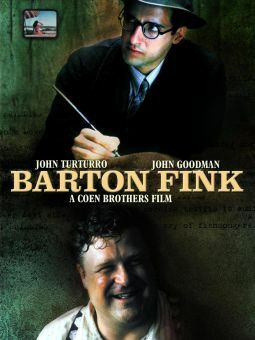 Goodman has occasionally played out and out villains or louts (The Big Easy, Barton Fink), but his essential likeability endeared him to audiences even when his onscreen behavior was at its least sympathetic. He contributed topnotch supporting appearances to such films as Everybody's All-American (1988), Sea of Love (1989), Stella (1989), and Arachnophobia (1990), and starred in such films as King Ralph (1991), The Babe (1992, as Babe Ruth), Born Yesterday (1993), and The Flintstones (1994, as Fred Flintstone). Goodman did some of his best work in Matinee (1992), in which he starred as William Castle-esque horror flick entrepreneur Lawrence Woolsey, and topped himself in The Big Lebowski (1998), playing a quirky security-store owner. He was seen the following year with Nicolas Cage and Ving Rhames in Martin Scorsese's Bringing out the Dead as an ambulance driver. Between 1988 and 1996, Goodman appeared as blue-collar patriarch Dan Conner on the hit TV sitcom Roseanne, a role that earned him four Emmy nominations and a Golden Globe award; his additional TV credits included two 1995 made-for-cable movies: the title role in Kingfish: A Story of Huey P. Long and Mitch in A Streetcar Named Desire, for which he earned another Emmy nomination. Announcing that the 1996-1997 season of Roseanne would be his last, Goodman limited himself to infrequent appearances on the series, his absences explained away as a by-product of a heart attack suffered by his character at the end of the previous season. After making his 10th appearance on Saturday Night Live (2000), Goodman could be seen playing a red-faced bible salesman in director Joel Coen's award winning O Brother, Where Art Thou (2000), and participated in Garry Shandling's film debut What Planet Are You From? (2000). He could be spotted playing an Oklahoma cop in The Adventures of Rocky and Bullwinkle (2000), while Coyote Ugly (2000) and Storytelling (2001) found Goodman stepping back into the role of over-protective father. Interestingly enough, he donned hippie-gear to play a goth-chick's Leelee Sobieski dad in 2001's My First Mister. Though Goodman's status as an amiable big guy was well established by the early 2000's, he didn't actually appear on-screen for two of his most beloved roles. In The Emperor's New Groove (2000), Goodman lent his vocal talents for the part of Pacha, a poor farmer who taught a spoiled prince (David Spade) some valuable lessons about life, love, and the meaning of societal standing. Any film-going youngster will recognize Goodman's voice as Monsters, Inc.'s kind-hearted Sully, the furry blue monster who risked life and limb to return a little girl to her home; and who other than Goodman would have been appropriate to voice the part of Baloo, The Jungle Book 2's (2003) freewheeling bear? 2001's ill received One Night at McCool's features Goodman as one of three men lusting after Liv Tyler's character, while 2002's Dirty Deeds took John to Australia, where he played an American mafia-goon thoroughly ill suited to the intricacies of culture down under. 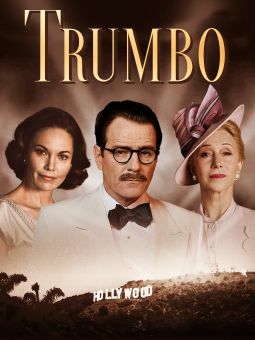 Though 2003's Masked and Anonymous was skewered by fans and critics alike, it did give Goodman the chance to work with industry bigwigs Jessica Lange, Jeff Bridges, Penélope Cruz, and legendary singer/songwriter Bob Dylan. In 2004, Goodman got even more involved in the realm of family friendly movies and TV, lending his voice to the character of Larry on the animated show Father of the Pride. The next few years in his career would include many more such titles, like Cars, Evan Almighty, and Bee Movie, and in 2008, he played Pops Racer in the candy-colored big screen adaptation of the popular cartoon Speed Racer. By this time, Goodman had become a go-to guy for PG fare, and signed on next to provide the voice of Big Daddy for the jazz-age animated film The Princess and the Frog. He earned good reviews for his work in the made-for-HBO biopic of Jack Kervorkian You Don't Know Jack in 2010. The next year he appeared in The Artist, the Best Picture Oscar winner, as the head of a Hollywood studio, and in another of the Best Picture nominees playing the doorman in Extremely Loud and Incredibly Close. Attended an acting class at Southwest Missouri University with Kathleen Turner; later performed with her in a stage production of A Midsummer Night's Dream. Auditioned for the 1980-81 cast of Saturday Night Live but didn't make the cut. As of 2011, he has hosted the show 12 times. Got his big break when he was cast as Dan Connor in Roseanne, a role he played for nine seasons and for which he was ranked No. 13 on TV GUIDE's 50 Greatest Dads of All Time. Performed with Dan Aykroyd and Jim Belushi in the Blues Brothers band. Received a star on the Hollywood Walk of Fame in 2007. Lost more than 100 pounds in 2010. 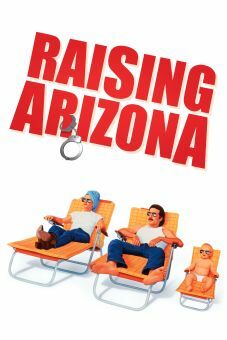 As of 2011, has appeared in five Coen Brothers movies: Raising Arizona (1987), Barton Fink (1991), The Hudsucker Proxy (1994), The Big Lebowski (1998) and O Brother Where Art Thou? (2000), and has been cast in a sixth: 2013's Inside Llewyn Davis.